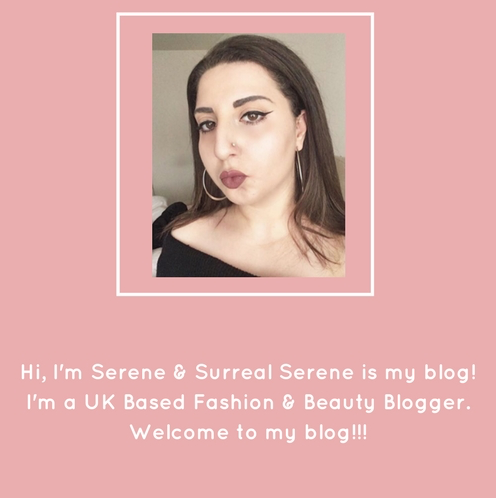 I am a makeup enthusiast, but sometimes you need to make your life more simplier & why do we need to complicate it with the headache of purchasing HUNDREDS of different makeup brushes to target different areas! I mean, it is the right thing to do, but I’m not really a makeup artist, so even though I’m an enthusiast I don’t really feel the personal need to buy loads of brushes that will just be left unused on the side of my dressing table!!! For instance, a Lip Brush is an epic brush to create PRECISION but I’m sure you can do the same job applying your lipstick carefully without it, So I prefer to use the direct lip – lipstick approach! I’ve broken down my picks for what Makeup brushes you really need & my selection are mostly the brushes you’d use on your everyday makeup looks! 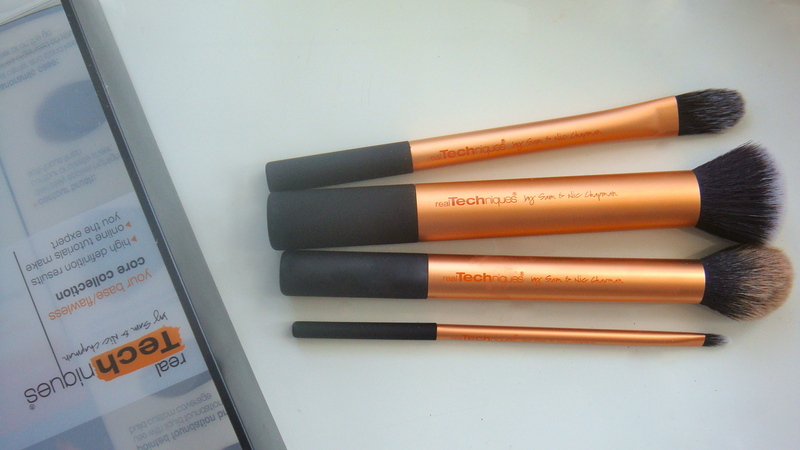 I’m in love with Real Technique brushes as they’ve created a Core Collection of face brushes that target different needs to create the perfect base! Pointed Foundation Brush – A great brush to customise your liquid foundation needs according to how much coverage you’re in need of! 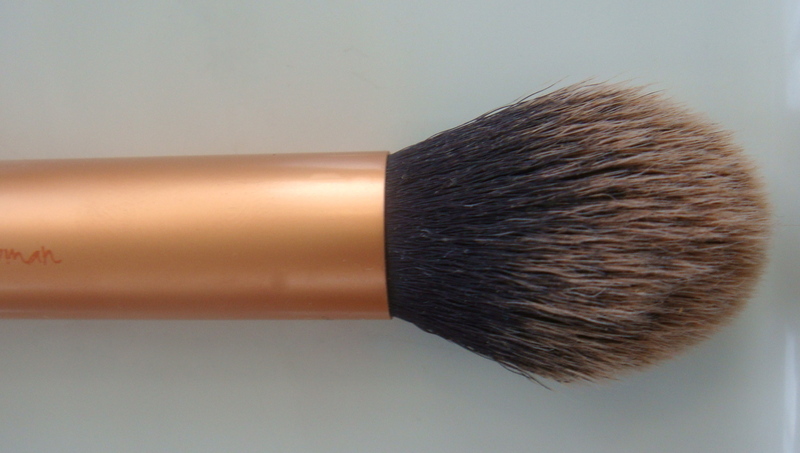 ( A lot of concern is brought upon pointed brushes for applying foundation , although I am a fan of the Mac – 187 Duo Fibre Face Brush I use to apply my foundation! I will recommend using this pointed brush as you will experience streaks only if you don’t blend in the foundation properly! 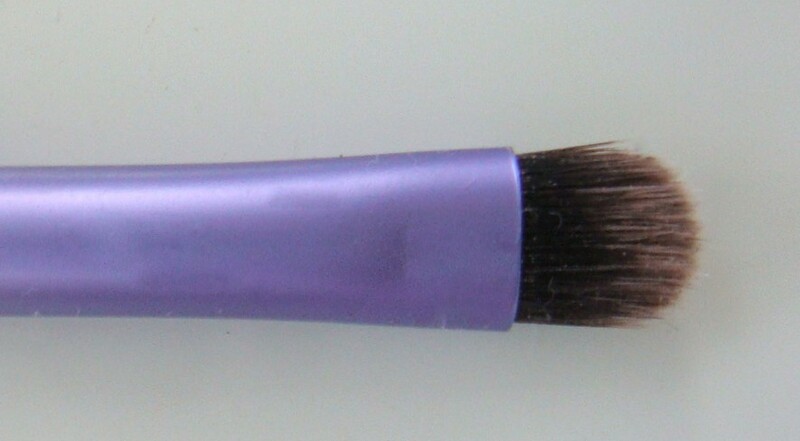 If you blend in the foundation properly using the Real Techniques brush it will leave your complexion looking flawless! However, if I am honest I do use this Foundation brush on occasions but I much prefer the Angled Foundation brush from Real Techniques for my Foundation (which is not included in the Core Collection) as the angled nature reduces the formation of streaks & distributes the foundation more evenly!!! So if the Core Collection was tweaked a tiny bit I’d replace the angled foundation brush with the pointed foundation brush instead of having to purchase another Foundation brush! 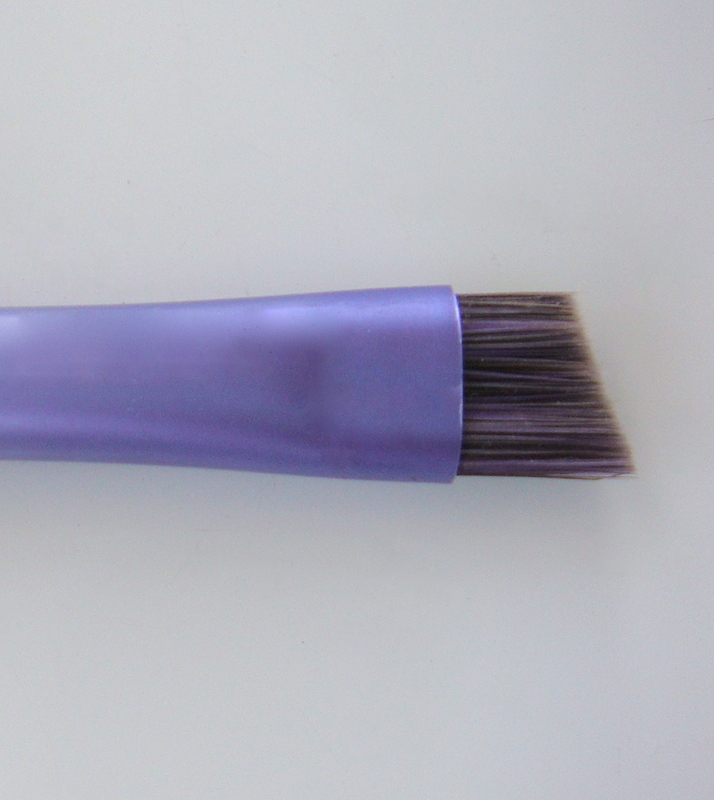 Buffing Brush – This brush is perfect for your setting powder I use this Brush to set my Loose Powder Over my Foundation! 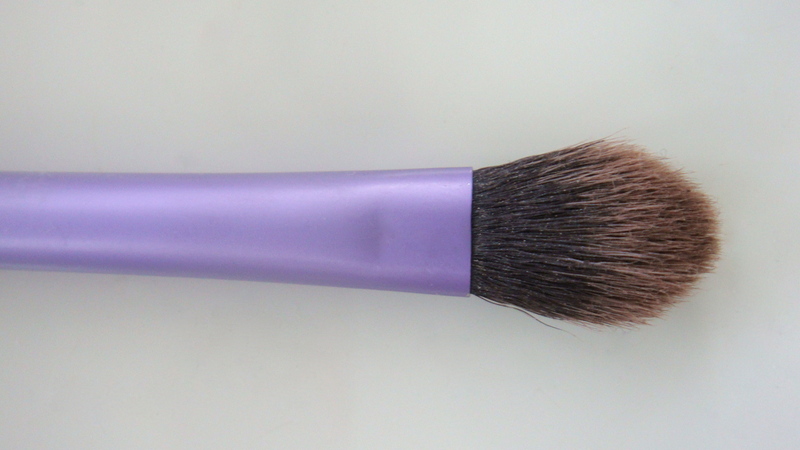 I can also use the brush after I apply my contouring to just buff out everything & blend it all in nicely! 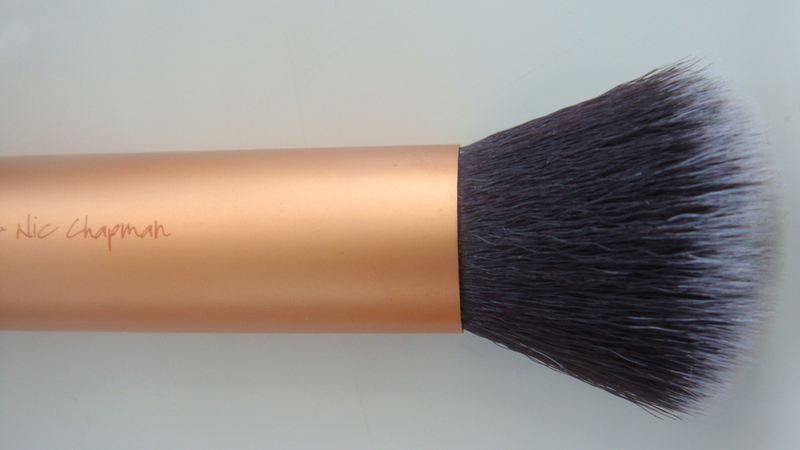 Contour Brush – This brush is perfect for contouring, you can apply your Bronzer / Highlighter with ease!!! & The brushes all come in an included Panoramic case that you can carry around with you on the go! & for eyes I will definitely recommend using the Real Techniques Eyes Starter Set! The Eye Set includes all the essentials basics brushes you need to create the perfect eye!!!! 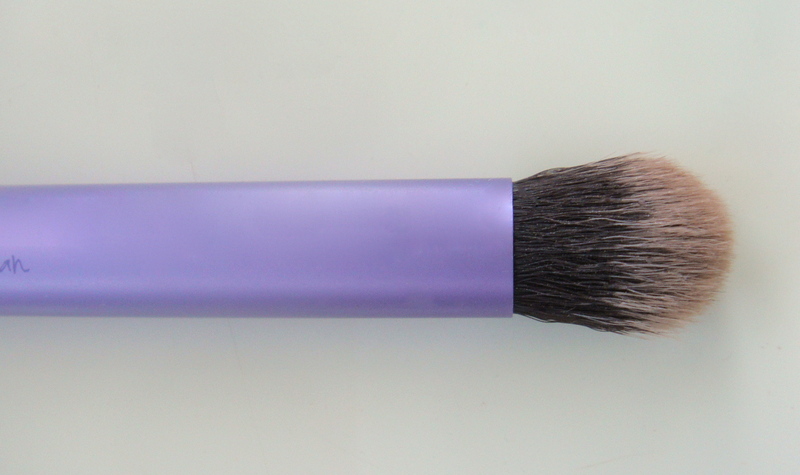 Base Shadow Brush – Perfect for applying your base colour all over the eyelid region of your eye! I use this mainly for blending in & even for softening up an eyeshadow colour! 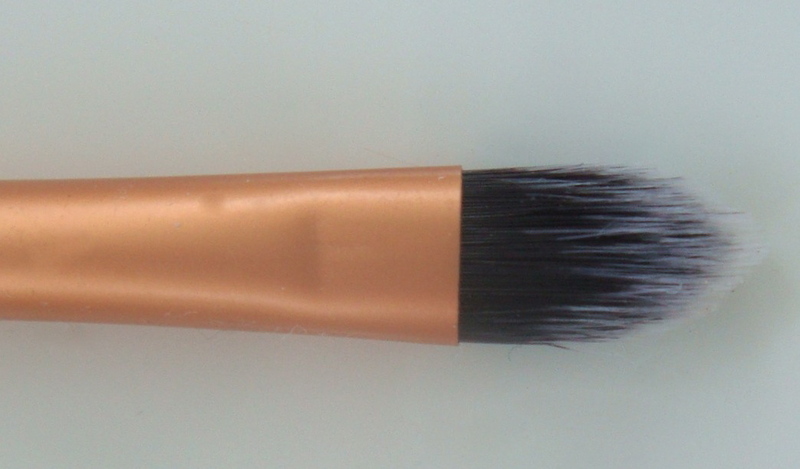 Deluxe Crease Brush – Useful for applying Colour on the crease of your eye, I also can wash and use this brush for concealer & even as a buffing brush to buff / blend in all the eyeshadows nicely! 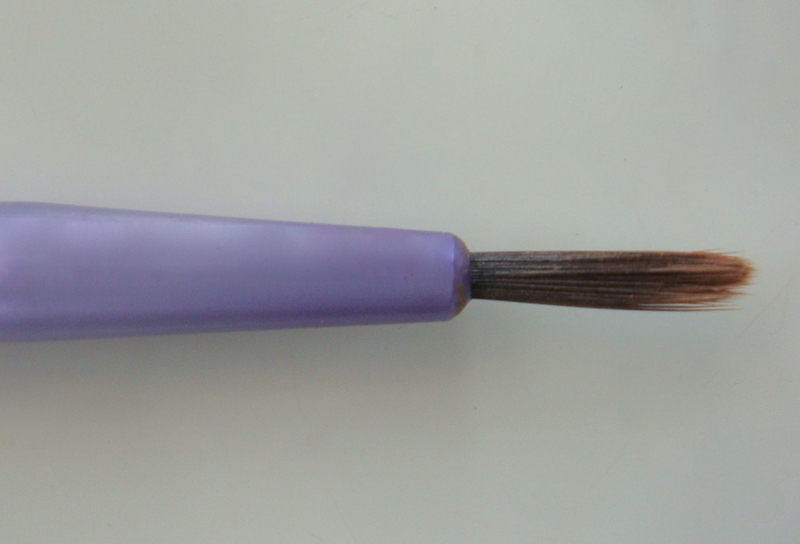 Accent Brush – I’ve used this brush to work eyeshadows in the inner corner of my eye, it’s a perfect smudging tool & you can use this brush on different areas of the eye, and even under the eye too! Pixel -Point Eyeliner Brush – I’ve used this brush for creating contouring lines on my nose & I’ve also used it with Liquid / Gel eyeliner! Brow Brush – You can use this brush for eyebrow definition, and building up a natural looking Brow or I’ve also used this brush for applying gel eyeliner as well! & all come in an included panoramic case as well!!! The possibilities of these brushes are endless, so before you go and buy a heap of brushes, Just wash & make use of all the existing brushes you have!!! 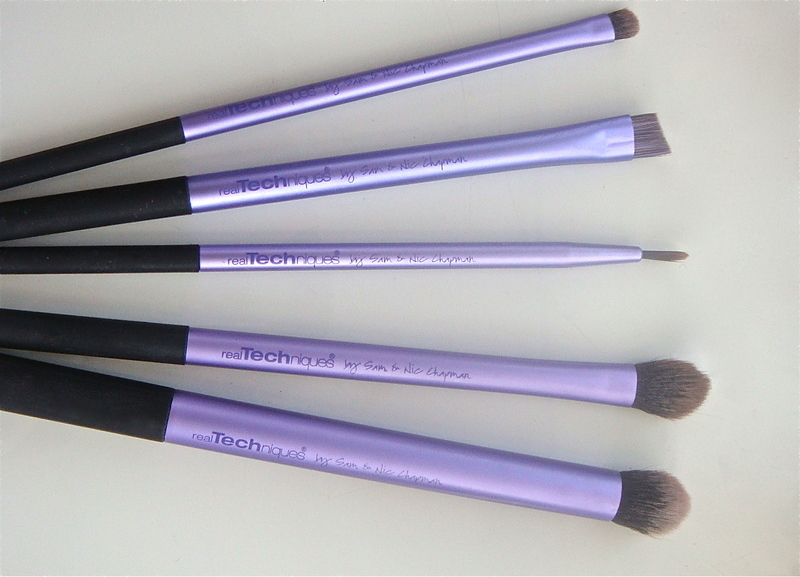 I hope you’ve enjoyed reading my |MAKEUP BRUSHES | BASICS 101- REAL TECHNIQUES Blogpost! What are your Basics Makeup Brushes? Have you managed to try out any of the Products I’ve spoken about above before? 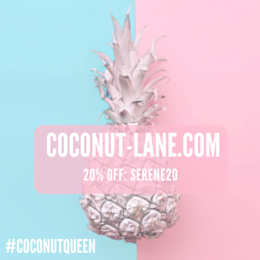 Previous:|Seventeen | Define & Conquer Contour Kit REVIEW! And definitely get yourself some Sigma brushes! ahhhhhh I have their Powder brush you need to get that one it’s amaaaazing 😍😍😍😍😍😍😍😍😍😍😍😍😍😍😍😍😍!!!! 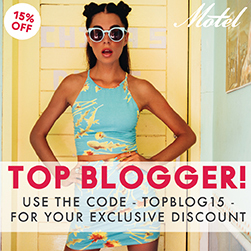 I really want that core collection! I don’t really use brushes though apart from eyeshadow brushes. I have ordered a foundation brush from body shop though. Amazing review! I love Real Techniques brushes! Fantastic post chick. The expert face brush is defiantly my favourite! Seriously, The eye’s starter set is amazing! I use all of these at least once a week. I agree in using as few brushes as possible. 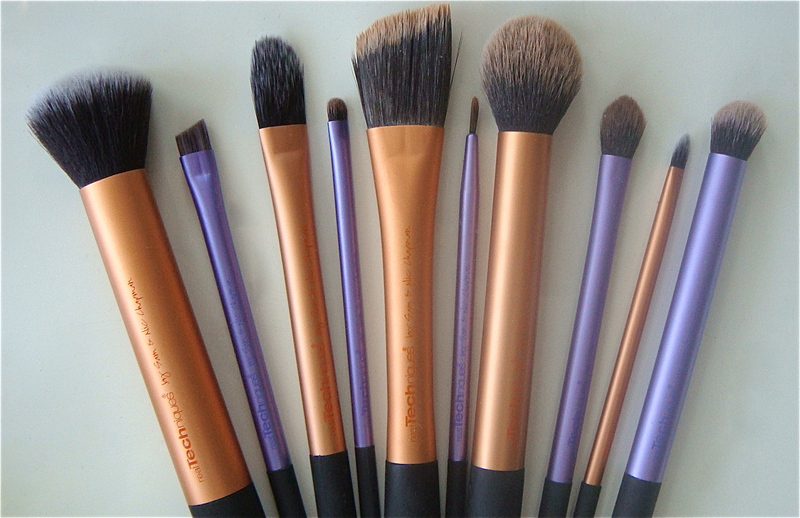 I use about 12 brushes to apply foundation, eye shadow & eyebrow powder. I use Bdellium tools but I’ve heard good things about Real Techniques. If I inly could have all of these blushed😃! Hv a great new week😄. Nice review! 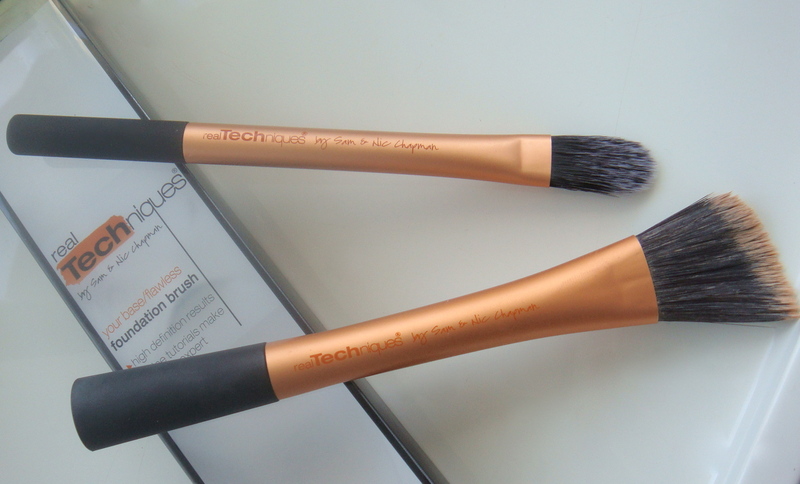 Want those RT brushes! 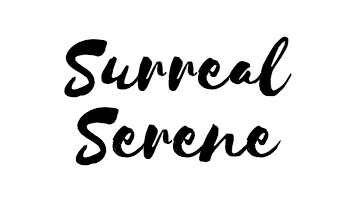 What camera are you using seriously awesome!! HOw much does the kit cost?